I have read and enjoyed several of Bill Johnson’s books, but this may be one of my new favorites. 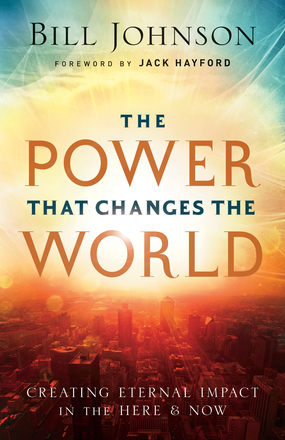 Inspired by the story of Solomon, Bill teaches how godly wisdom can change the atmosphere. His encouragement that the church bring heaven to earth to influence the world is similar to his other teachings; but many of his insights regarding the nature and manifestation of wisdom in our lives are fresh and revolutionary. I particularly loved how Bill connects wisdom to beauty, excellence, and integrity. He mentions, for instance, that when Queen Sheba visited King Solomon she proclaimed how she saw God through the seemingly mundane aspects of Solomon’s household like the attire and service of his servants, the food on his table, and the appearance of his entryway. (1 Kings 10:3-9). How interesting that she would have specifically mentioned recognizing God through these things, while also having sat at the king’s feet to receive wisdom and understanding! I similarly enjoyed Bill’s interpretation of the passages that we are the salt of the earth and the light of the world. He explains that salts primary purpose is not to preserve but to bring flavor; thus Christians should bring flavor to the world by exuding the Lord’s wisdom and character from within. Being the light of a city of refuge within the world is likewise essential. This book gave me a new understanding of what wisdom looks like, and the power it has to bring influence when it is properly employed. It is a relevant and life-giving encouragement to activate the wisdom of God to “minister” through action in whatever sphere or profession that God has called us.